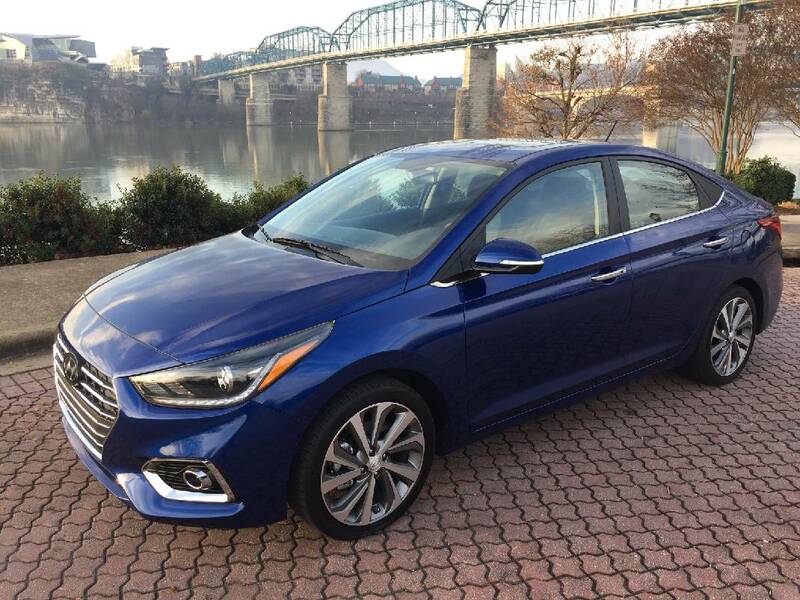 The 2019 Hyundai Accent Limited sells for $20,090. 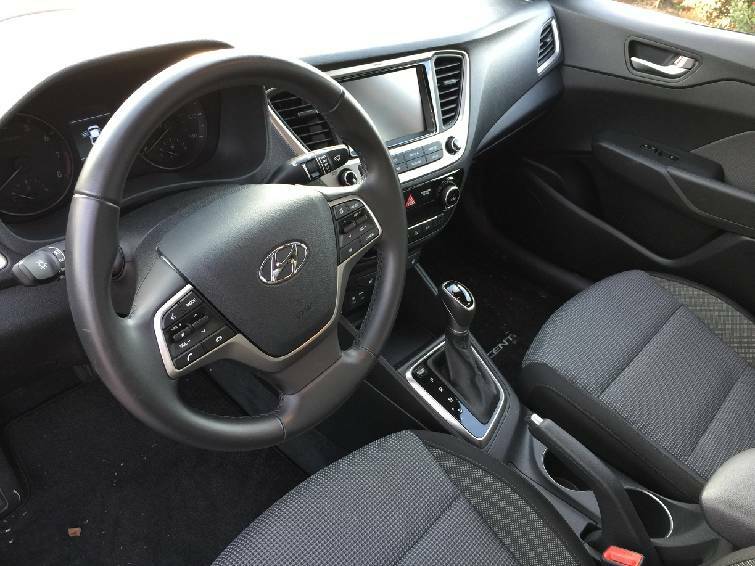 The 2019 Hyundai Accent Limited features heated front seats and a leather-wrapped steering wheel. Although the base Accent can be had for about $15,750, a top-trim Limited model like our tester rings up at $20,090. The upscale Accent Limited has features that five years ago could only be found on cars costing half-again more. For example, our tester — which was provided for a one-week test drive by the manufacturer — includes heated front seat, alloy wheels, a push-button ignition and an emergency braking system that just a few years ago was an exotic option. Accents are available locally at Long Hyundai at 6035 International Drive. Late last week the dealership had five Accents in stock. WHAT IS IT? The Accent is a subcompact sedan which competes in a segment that also includes the Kia Rio, the Nissan Versa and the Honda Fit. Since the Accent's inception in 1994, Hyundai has sold more than a million of the small sedans in the United States. HOW MUCH? Our Limited-trim tester has a list price of $20,090, about $4,340 more than a base Accent. WHAT WE LIKED: Standout features of the Accent include a large trunk with 13.7 feet of cargo space, an expressive front end with fog lights, dual climate controls, a "sport" drive mode, leather-covered steering wheel and 17-inch alloy wheels. ROOM FOR IMPROVEMENT: Our logbook included demerits for a less-than-smooth engine idle, rough-to-the-touch fabric seat covers and a small center storage compartment. IMPORTANT FEATURES: All Accents have a 1.6-liter, four-cylinder engine that makes 130 horsepower. Unlike many of today's smaller cars, the engine in the Accent is not turbocharged. It's good to keep this in mind when passing on a two-lane highway. The car is not under-powered, there is just not much in reserve for emergencies. The engine is mated to a six-speed automatic transmission. The "sport" mode tightens up the transmissions shift points and steering for a more spirited ride. NEW FOR 2019: The only new feature on the Accent Limited for 2019 is standard LED headlights. All limited models also include the alloy wheels, emergency braking, a sunroof, heated seats, a push-button start and dual climate controls. FUEL ECONOMY: According to the government, consumers can expect fuel economy of 38 mpg highway and 28 mpg city. BOTTOM LINE: In Limited trim the Accent is a high-content automobile at a relatively low price.